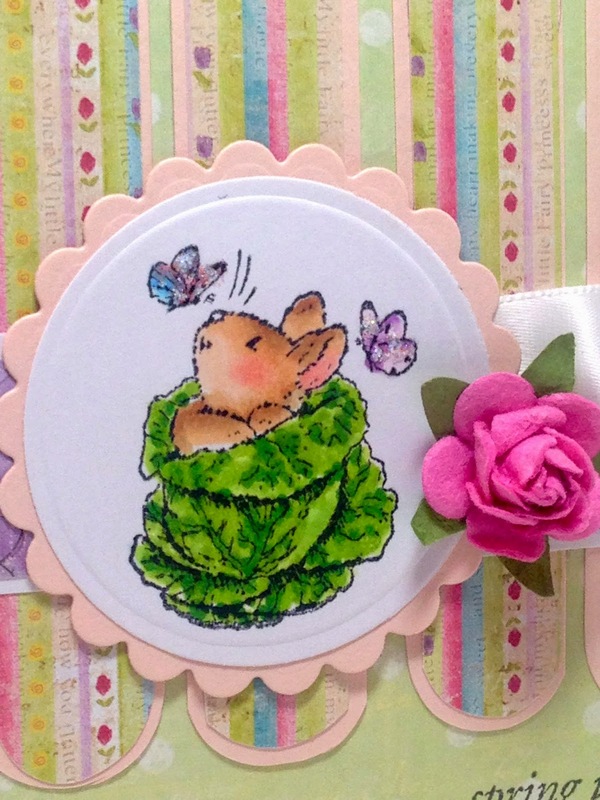 Today concludes the last of my Spring Bunny and Chicks cards. Well, I actually have one more card to show you from my Penny Black 'Garden Friends' stamp set, but he's a hedgehog, so he doesn't count. LOL! This is a card I will be giving to my daughter and her husband, along with their Easter Basket. So hopefully she won't see this post before she gets it. I doubt it, since were meeting them in Milwaukee later today to attend an Easter Musical at our old, home church. To make my card, I used a sketch from Splitcoaststamper (SC343) and designer paper from Prima called 'Sweet Fairy'. I colored the image with Copic Markers and put Stickles on the butterflies. I added a prima flower a touch of ribbon for embellishment. Beautiful card! 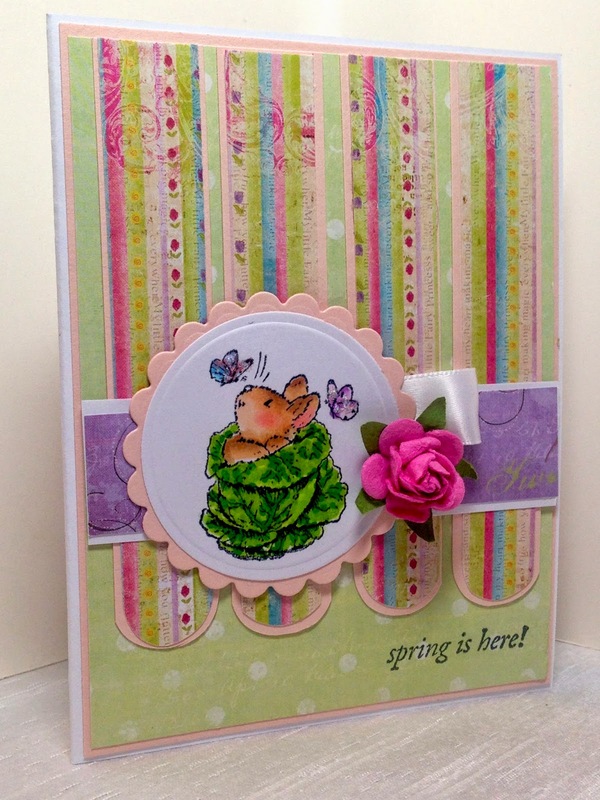 I have been enjoying all your gorgeous Spring cards. love them all! I know your daughter & her husband will love this!! Hope you'll have a wonderful Easter holiday & enjoy your time with your family in Milwaukee!